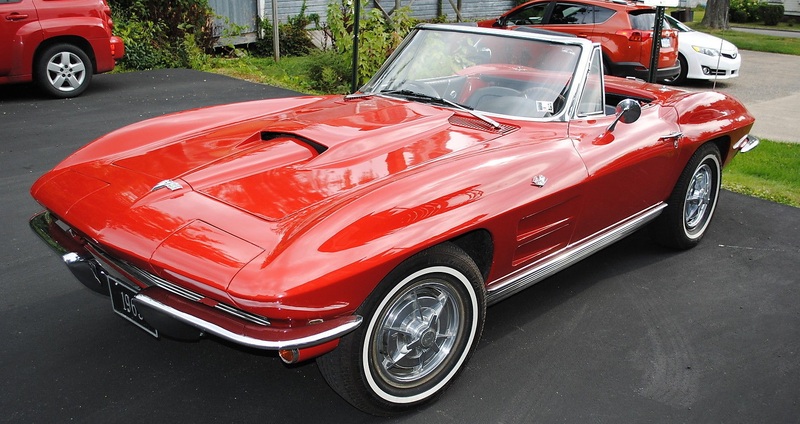 A Spectacular Red 1963 Chevrolet Corvette Convertible – 350 V8, 4 Speed trans. 59,0xx miles. Has a 350 crate engine installed approx. 2009, with about 2,000 miles on it.